I find it much to the credit of the United States that we are a caramel-crazy nation; there’s something about good caramel that’s so deeply satisfying. It’s creamy, chewy, and sweet, with the addition of that delightful caramelized flavor. But what do you do if you can’t have dairy products or the corn syrup that seems ubiquitous in commercially-prepared candies? You turn to JJ’s Sweets Cocomels. Cocomels are made with coconut milk, not dairy. 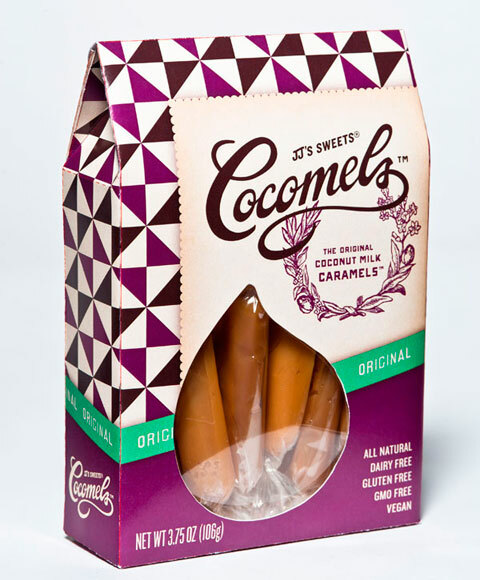 While conventional caramels are made with cream and butter, JJ’s Sweets Cocomels are made with coconut milk, so they’re dairy-free. (The coconut milk also explains their name; coconut + caramel = Cocomel.) Because Cocomels do not contain dairy products, they are vegan. They’re also made without corn syrup, great for people who have any kind of corn intolerance. 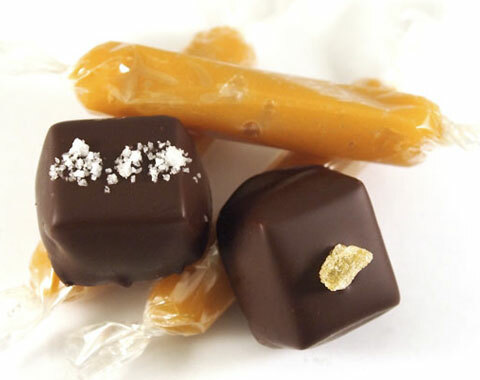 As you’d expect in a caramel, these confections are gluten free. They contain no GMO ingredients, and the brown rice syrup and evaporated cane juice used are organic. Even the packaging has been selected with care: the exterior cartons are made with wind energy, completely recyclable, and certified as made from responsible sources by the Forest Stewardship Council. At this point, Goodlifer, no doubt you are tapping your toes impatiently, because you want to know how Cocomels taste. They’re terrific, of course! Yes, there is considerable coconut presence, as you’d expect in a confection made with coconut milk. But I love the silky smoothness and degree of chewiness, which is neither too great nor too little. And, recognizing that people need variety, Cocomels come in several flavors. I am enjoying the Vanilla at the moment, but you might prefer the Original, Sea Salt, or Java. 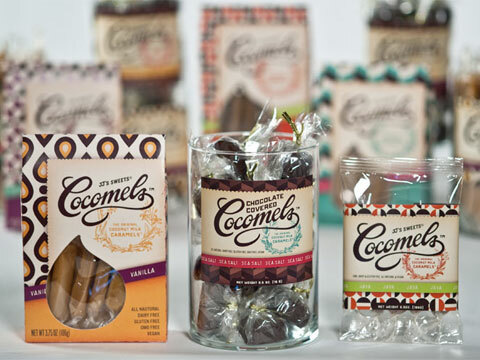 Cleverly, Cocomels are sold in pocket packs (5 pieces), flagship boxes of 3.75 ounces (12 Cocomels) or one-pound bags. 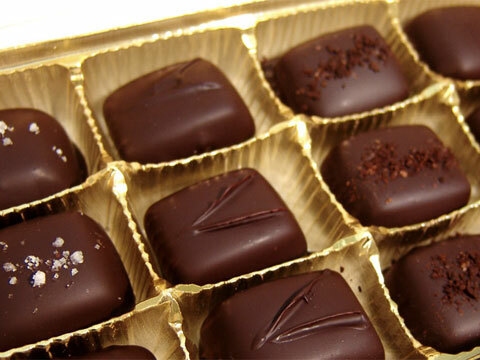 At this writing, JJ’s Sweets Cocomels are available in select retail outlets. 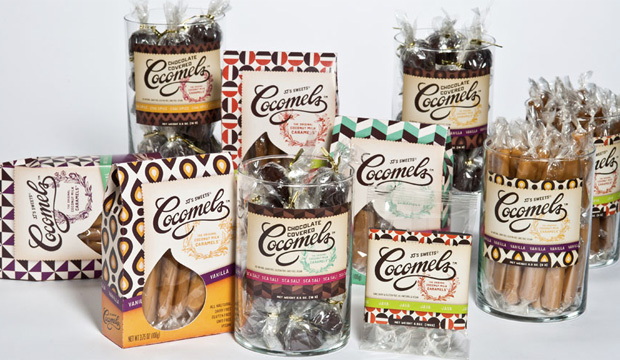 Via modern technology, you can order Cocomels to be shipped to your doorstep if you cannot find them where you live. Visit the website for more information (including the sweet story on how the company was founded). Here’s a hint for you: If you know where to look, you can find discounted one-pound bags of Cocomels that have been imperfectly wrapped, but you’ll have to search out those on your own… I kinda want them for myself.